Commercial Parking Ticket Services | Citywide Parking Ticket Service, Inc.
Citywide Parking Ticket Service provides in-person representation at the New York City Department of Finance Commercial Adjudications Unit, whether your company has a small or large fleet. Our goal is to reduce your parking ticket expense and assist your company to track and manage parking violations activities in an efficient and economical manner. Our fleet management experience in NYC provides us first hand awareness of the difficulties your company and drivers face when performing service and delivery operations. Let us help you find a solution. Although it may not seem like it, there are plenty of places in the City where a commercial vehicle is permitted to park. Indeed, in some instances, the default parking rules do not apply to a commercial vehicle that is making a delivery or parked so that its driver can provide services nearby. For instance, no standing except trucks, no parking, and double parking (not in midtown), violations are amenable. Even if a particular ticket does not qualify for a commercial defense, it may still be dismissed. In addition to the standard defects, which result in a dismissal, there are other arguments regarding the intricacies of the Vehicle and Traffic Law which may get your ticket dismissed. We present these arguments on our customers’ behalf before an administrative law judge at a live hearing. This practice ensures that each ticket receives the proper amount of attention. Citywide provides expertise in navigating the many aspects of parking ticket management, saving your business time and money. Before challenging your company’s parking tickets at the Commercial Adjudications Unit, we thoroughly review and organize each “Electronic Case File”, ECF. Your parking violations will be presented to the Administrative Law Judge, in-person, in the order displayed in each ECF. We will assist your company to manage your on-going newly issued tickets and backlogs, to be sure that all violations are addressed in a timely fashion. We will also conduct routine searches to identify violations not submitted by your drivers. In addition to comprehensively tracking and managing parking violations activities for your company, Citywide also helps your company to avoid receiving non-amenable parking tickets. Where a commercial defense is applicable, your ticket should be dismissed provided that the correct paperwork is prepared and presented to the administrative law judge. We'll make sure your tickets are ready for hearings and will attend in-person on your behalf. Stay in control of your company's parking ticket management with our detailed, up-to-date ticket trackers and strategic recommendations that help to keep parking ticket expenses in check. To enable Citywide to better serve your fleet of vehicles, we recommend participating in the city’s free fleet management programs. 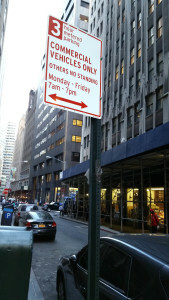 Under Section 239 of the New York State Vehicle and Traffic Law, a leasing company has the ability to transfer the liability for parking summonses received while operated by lessees. There are several important benefits derived from enrollment in the Rental Program, for the Leasing Company. I have found Citywide to be the best service I have ever used. The dismissal rate is fantastic. I would recommend to everyone. We have relied upon Citywide’s expertise and professionalism over several years. Through our partnership, Duane Reade has been able to concentrate on our business with confidence that John and his team were keeping our fleet compliant and current with parking and traffic violations. Citywide has not only helped mitigate some of our high cost to operate in NYC but they have worked with us to find better times, places, and ways to service our chain. John Miuccio and Citywide have been there to help Manhattan Fruit Exchange and the Juice Factory at Chelsea Market reduce our parking ticket expense for 25 years. Citywide recommended the best method for us to handle our parking tickets. We have been on the Stipulated Fine Program for many years and we are very satisfied with the results. I highly recommend John and Citywide.